» Get your workout in! From a yoga/spinning hybrid to a sandy beach work out, we have the inside line on where to train in Venice. Work out at the Venice Recreation and Parks Center! 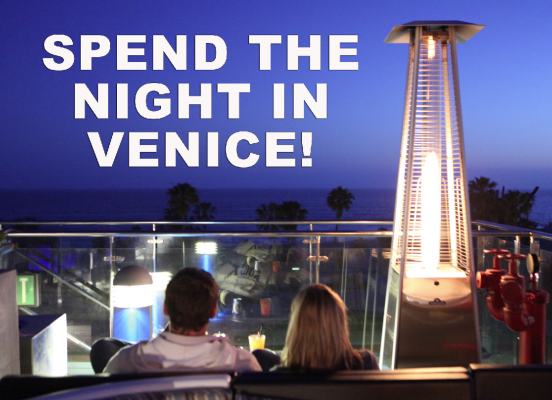 Venice’s ocean front recreation is known the world over! 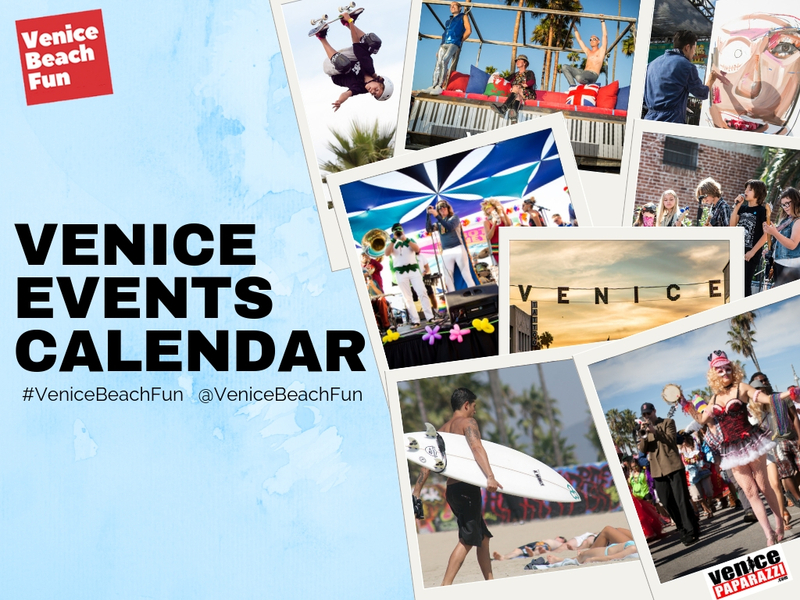 From the iconic Muscle Beach Gym to the basketball courts, no trip to Venice is complete without a day in the park. Details below! 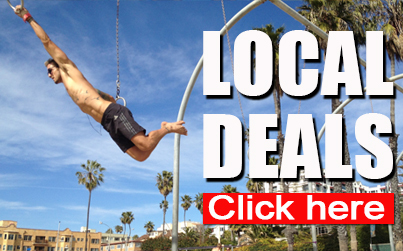 Muscle Beach Gym: Outdoor gym with free weights, machines, power rack, powerlifting bumpers & more. Bodybuilder Hall of Fame also found here. $10 day pass. Weekly pass $50. Year pass: $200. Basketball courts: 3 regulation & 1 stadium size court. Boxing area: 6 speedbag platforms, 2 heavy bag areas. Gymnastic Area: Also know as the “sand pit” includes two rings set, high & low parallel bars, balance bar, horizontal bar, and 2 climbing ropes. Venice Skatepark: 27,000 sq. foot park. Two bowls, snake run, rails, stairs. Roller Skate Plaza: Live D.J. and dancing every weekend. Handball courts: 4 three wall courts and 3 one wall courts. Paddle Tennis courts: 11 courts. Equipment rentals & instructors: The Rec & Parks office offers handball, basketball, boxing bag rentals free with valid I.D. Paddle tennis racquet rental $5 with valid I.D. Instructors also available. Courts are first come first served. Rec & park hours: Winter Hours: 8am-5pm . Sun. 12-4 p.m. Daylighting saving in April. 8a.m-6 p.m. Summer hours 8a.m. – 7 p.m. Address: 1800 Oceanfront Walk. Venice, Ca 90291. 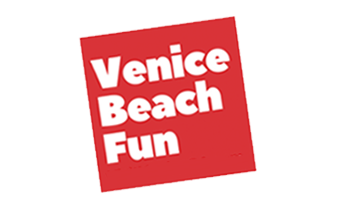 Rent some transport and and explore Venice on a bike, skate board, segway, IO Hawk, blades or roller skates! Ride or skate the bike path! 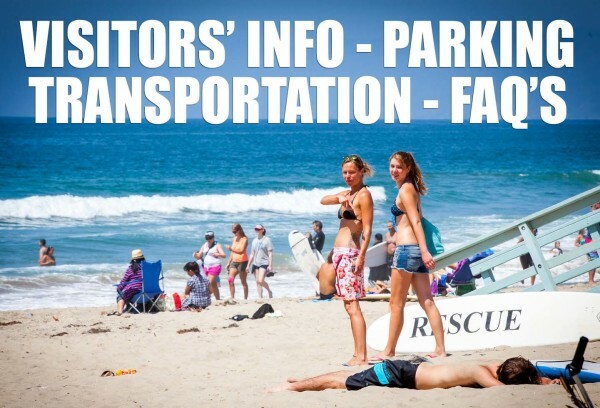 The bike path that runs along the beach spans 17 miles, from Pacific Palisades to the Palos Verdes peninsula. No pedestrians on path! Go to the beach! Surf, swim, body board and splash around in the Pacific Ocean. Go for a deep sand run or power walk in ankle deep water. Keep an eye out for dolphins. Go for a brisk walk in the Venice Canals! Many of the streets in Venice were once canals. What is left is just a fraction of once abundant waterways, which were laid out by city founder Abbot Kinney to be a miniature version of Venice, Italy. Fly like a superhero at the rings in Santa Monica. Great work out! Learn to box and do some kettlebells at Kettlebell Boxing. Do some yoga and spinning at YAS Fitness Center! Founded in Venice in 2001 by Kimberly Fowler, YAS was the first studio anywhere dedicated to the combination of spinning and yoga, sparking the yoga hybrid movement that has since swept the nation. Hit the weights at Gold’s Gym! #LegacyInTheMaking. Another great gym to check out is 220 Fitness! Click here for additional physical activities! Green Goddess Collective, Venice’s Favorite Dispensary! GQ on Abbot Kinney Blvd. 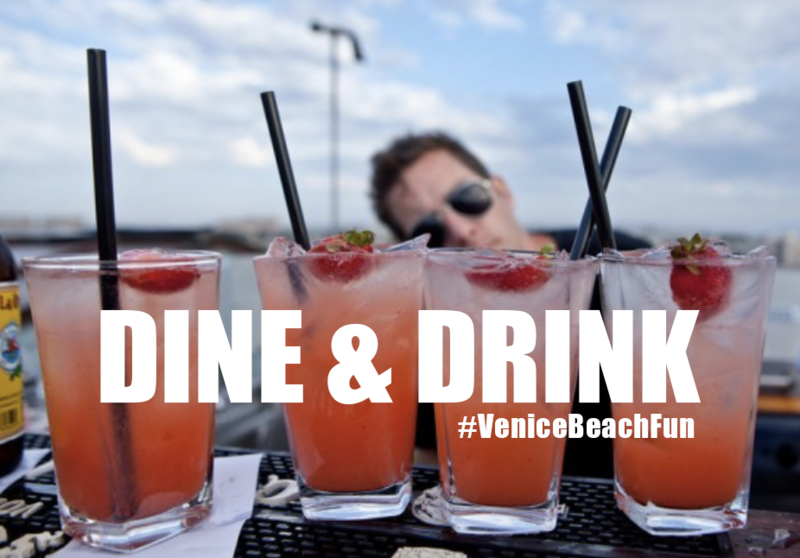 Best hotels in Venice Beach!